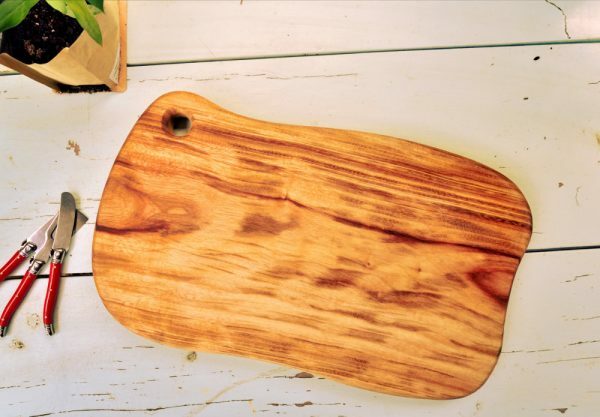 Each of our hand-made cutting boards are perfectly unique and made from beautiful camphor laurel, known for it’s comforting scent and antimicrobial properties. 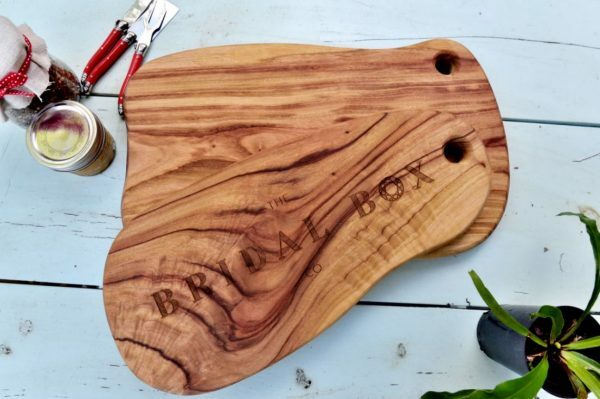 These cutting boards are crafted from a single piece of timber, so no joints or weakness are made into them. 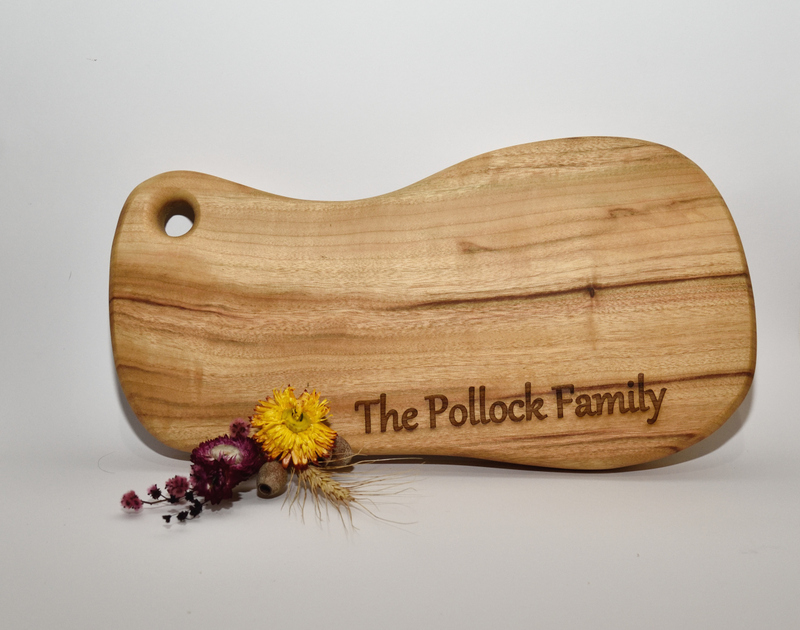 Your cutting board comes with your own custom engraving – perfect for the family name or sweet message. 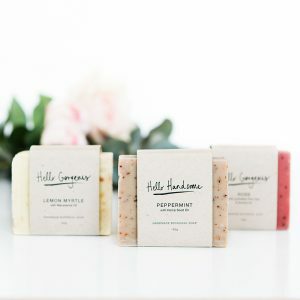 This would make a truly personalised addition to the home of a new or growing family! This cutting board is made from camphor laurel, which yields a beautiful, rich honey-coloured timber with a clean, fresh camphor smell. 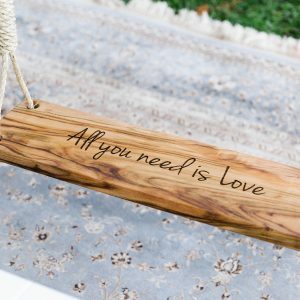 It’s created from a single and complete piece of timber. It is not joined or laminated. 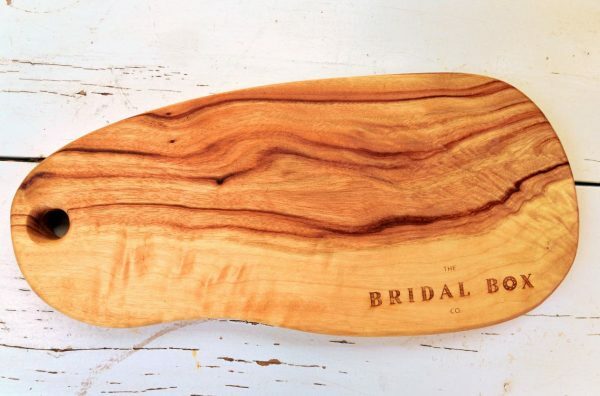 Camphor laurel is known not only for it’s beautiful coloured timber, but also it’s antibacterial qualities! These boards are hand made with the same love, care and attention as our beautiful Bridal Boxes. Each board is original and hand-made, so no two are exactly the same. PLEASE NOTE: These sizes listed are the largest sizes measured on the board. 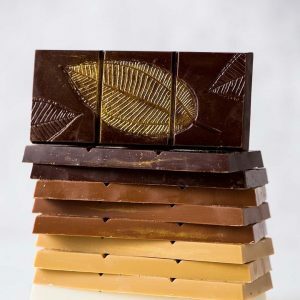 The organic shapes mean that these measurements vary across the board. These measurements also effect the price, as the cost is calculated based on the amount of timber used. CLEAN with hot soapy water and leave to dry. CLEAN monthly by sprinkling salt and rubbing with lemon.